A Chinese National had arrested for throwing soy pudding (taho) to the on-duty police officer in MRT-3 Boni Station. 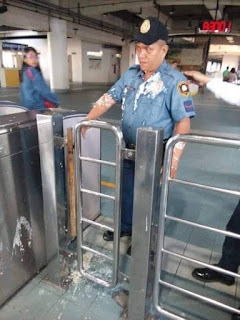 The woman got tantrum when the police officer stopped her in entering the station because she was carrying a cup of "taho" which is prohibited in all MRT and LRT stations. 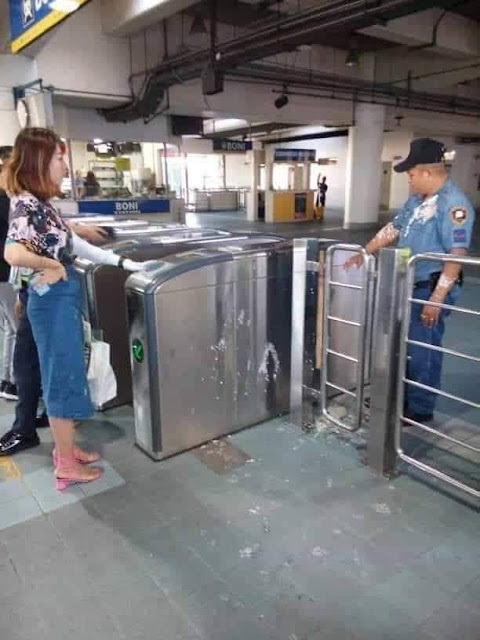 The Chinese National namely Ms. Jialz Zhang Nepomuceno, 42 years old was arrested and charged for direct assault for unethical behavior to PO1 William Cristobal. She underwent mugshots like any other suspects. And the DOT is planning to ban her in riding in all train.